Home/Uncategorized/10 Benefits of Using ACV for Your Skin! Apple cider vinegar (ACV for short) is made from apples and sugar. Yeast and bacteria are added to start the fermentation process. The first fermentation converts sugar to alcohol. 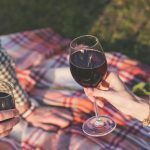 In the second fermentation, the alcohol is turned to vinegar by acid-forming bacteria. Note: It’s always best to use raw ACV to ensure its nutritional content and healing properties remain intact. 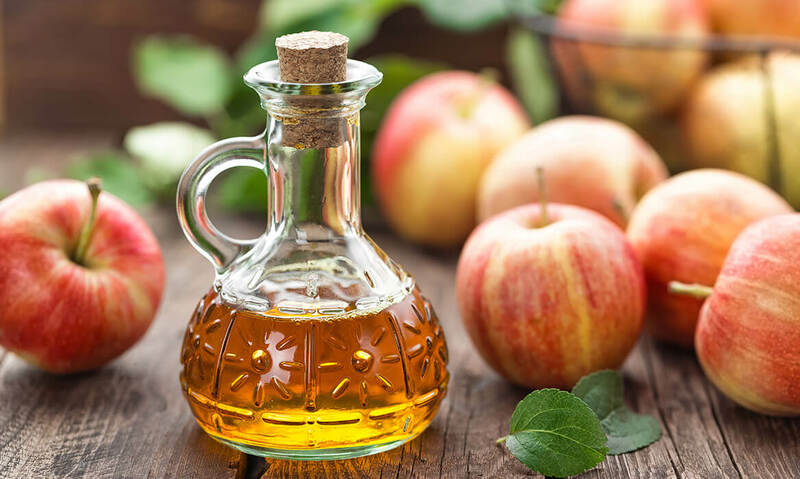 Malic acid and acetic acid found in apple cider vinegar make it a very powerful agent to treat various skin conditions. Apple cider vinegar is a wonderful astringent which helps tighten up your pores and make your skin firm. Dilute vinegar with water and dab onto your face with a cotton ball a few times per week. ACV can regulate your skin’s pH levels and production of sebum to ensure your skin doesn’t get too oily or too dry. Apple cider vinegar contains natural alpha hydroxy acids which help speed up your skin’s shedding process. Its exfoliating properties help remove dull surface skin cells and reveal a new layer of skin. Your skin then appears more vibrant and your complexion is improved. The alpha hydroxy acids also aid in lightening age spots or dark skin patches due to hyper pigmentation. To notice results, you’ll need to apply ACV onto your skin twice daily for about six weeks. ACV is rich in antioxidants (caffeic acid, catechin, chlorogenic acid, epicatechin and gallic acid) that fight free radicals and prevent cellular damage. Apple cider vinegar restores your skin’s pH and helps soothe sunburns. It also reduces inflammation and prevents your skin from blistering. ACV contains a powerful antioxidant called beta carotene which reduces inflammation, strengthens skin tissue, and promotes skin cell renewal. Acetic acid rids your hair of shampoo & styling product build-up. Bonus: If you have dandruff, its antifungal properties will take care of it too! It’s a Natural Underarm Deodorant! Apple cider vinegar will absorb and neutralize the smell under your arms. Its antibacterial properties will keep the bacteria at bay! The pungent smell only lasts a few minutes, but its deodorizing power outlasts it. ** ALWAYS use a diluted solution of 50% water and 50% apple cider vinegar and test the solution on the skin of your hand before applying on your face,just to be sure you aren’t sensitive to it. Apple cider vinegar is just as effective when ingested. Incorporate ACV into your every day diet to reap optimum health benefits for your skin and body! Stir ingredients into a cup and enjoy! Whisk all the ingredients together and pour over your salad.